Electric car maker Tesla is buying San Diego’s Maxwell Technologies in a deal valued at $218 million, the two companies announced Monday. Maxwell has innovative technology and manufacturing processes for both batteries and “ultracapacitors,” another type of energy storage device. 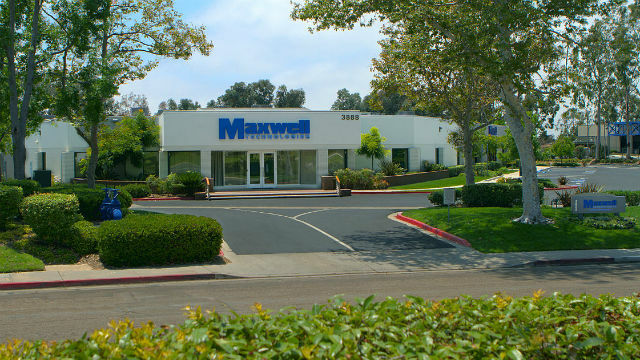 “We are very excited with today’s announcement that Tesla has agreed to acquire Maxwell. Tesla is a well-respected and world-class innovator that shares a common goal of building a more sustainable future,” said Dr. Franz Fink, president and chief executive officer of Maxwell. “We believe this transaction is in the best interests of Maxwell stockholders and offers investors the opportunity to participate in Tesla’s mission of accelerating the advent of sustainable transport and energy,” he added. Tesla’s offer values Maxwell at $4.75 per share, a premium of approximately 50 percent over the stock’s Friday close. “We are always looking for potential acquisitions that make sense for the business and support Tesla’s mission to accelerate the world’s transition to sustainable energy,” Tesla said in a statement. Maxwell was incorporated in 1965 and made its an initial public offering of common stock in 1983.